Simply exquisite with the grace of the1920s, this feather headpiece is sensational. The epitome of grace, our Swan Lake Headpiece takes its inspiration from the sensational feather headpieces of the Roaring Twenties. 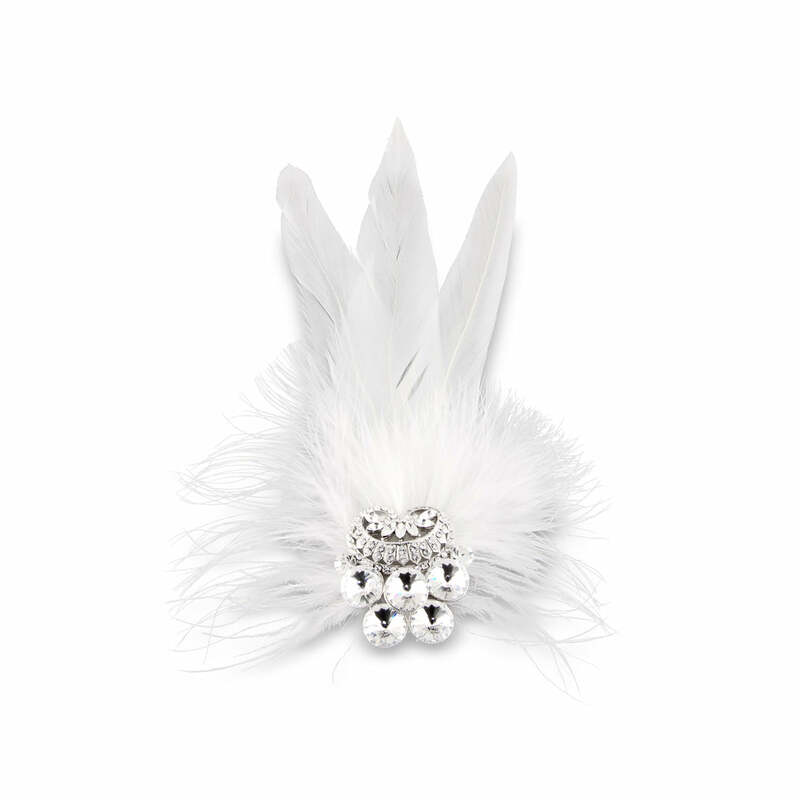 Three long soft white feathers lead with a soft marabou centre enhanced with a sparkling clear Austrian crystal adornment for a romantic look. An exquisite bridal headpiece for the bride who adores unusual wedding hair accessories full of vintage style. Adorn a feminine up-do or half-up do and pin at the side of the head for classic 1920s style. Featuring a small concord clip to fasten into your hairstyle, this feather headpiece looks divine coordinated with simple drop crystal earrings and a bejewelled crystal bracelet.